Each and every one of us can be awesome in any moment, any day. But how do we not become WEAK SAUCE?! It’s more simple than you want to complex it: Choose. 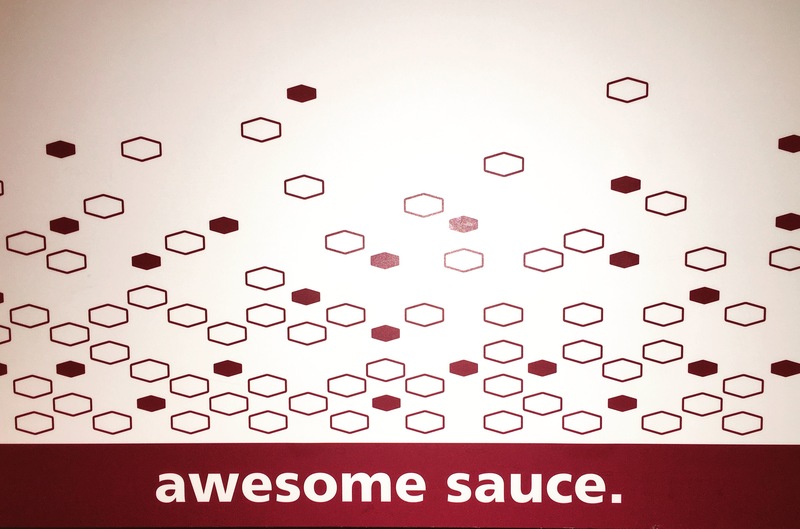 Choose to be AWESOME SAUCE. You know: sauce that just makes a meal an entire life experience. Spread that kind of sauce and your senses awaken and your mind starts creating vivid memories like time slowed down. It’s like your whole human energy is in fire! ? And you know what I am talking about. Awesome can be felt instantly. You have the power to choose being the best you every moment, every day. You already have the power to be awesome. It’s programmed into your heart and gut. It’s just your head that gets in the way OR gets on board the awesome sauce train. When you know that choices made from the heart and gut lead you to awesome, you’ll be hooked. Awesome is exciting. Awesome is fulfilling. Awesome is whatever you decide it should be. Awesome is yours and always close. So, drop the weak sauce and blend up your own version of awesome!! ?